You need to be 17 to start learning to drive and have a valid provisional licence before you take your first driving lessons. Complete a D1 form from the post office and send it to theDVLA with your passport or birth certificate, and a passport-sized photo. You can also apply online. 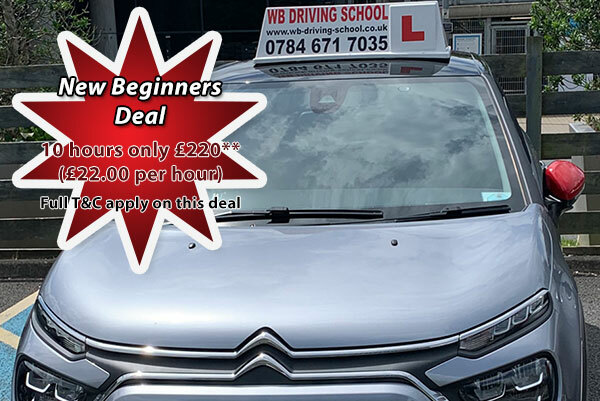 Apply for a provisional licence up to three months before your 17th birthday, and you could book your first driving lesson for the big day! Your instructor will estimate how long you are likely to need after your first lesson. The current average is 45 hours of tuition (Driver & Vehicle Standards Agency average, 2006), with 22 hours of private practice. Two-hour lessons can help you learn faster. W B Driving School pupils say they would recommend us to other learner drivers.